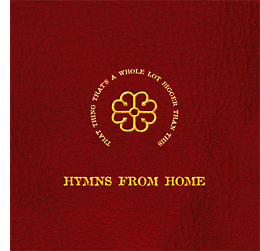 The album title ‘Hymns from home’ and subtitle ‘That Thing That’s a Whole Lot Bigger Than This’ was born out of Copeland’s idea of collating a selection of modern day secular hymns that, while not being too judgemental, allowed songwriters to explore those unanswered ‘higher being’ questions. This theory is best exemplified by Keith Miles’s ‘Something Bigger Than This' and the twenty tracks selected, of which all artists played some part in their writing, carried forward this theme to create a very thought provoking album. Two of the preferred tracks in the collection were contributed by artists that have more recent origins rather than those who served their apprenticeship in the 60’s, in particular contemporary band I See Hawks in LA who have produced a number of fine albums over the last decade. Their song ‘If You Lead I Will Follow’ celebrates the virtues of independence and mutuality, fully explained in the comprehensive sleeve notes that allowed the artists to provide the background to their offering. This is closely followed by the song ‘Free World’ contributed by Texas singer-songwriter Kate Campbell which has prompted a desire to seek more of her music, thus the ultimate aim of the people putting this record out. With this in mind, Hemfiran also included tracks from four Swedish artists to demonstrate that fine Americana-influenced home grown music can flourish alongside such prestigious company. As in a lot of compilation albums, especially ones where you are exploring a number of artists for the first time, it can take numerous listens to get a full flavour and each repeated play can uncover something extra of interest. ‘Hymns From Home’ definitely falls into this category especially as many of these artists may not have much prior awareness in the UK and it would also enhance the record collection of any person wishing to delve a little more into the wide ranging genre that is Americana music.